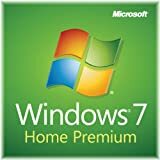 OEM – Microsoft Windows 7 Home Premium 32-bit 1 Pack Service Pack 1 DSP OEI LCPOEM Software Product Information: This product is an OEM (Original Equipment Manufacturer) package, and the licence governing the installation and use may not convey the same rights as a full retail package. OEM product packages may not contain the same printed documentation or bundled software and hardware which forms part of the full retail package. Prospective purchasers should make themselves aware of any such restrictions before purchasing.